The Antimonopoly Committee of Ukraine may demand VimpelCom (Russia) to sell part of its assets to permit a merger with Kyivstar, a Ukrainian mobile communication operator, Committee Chairman Oleksii Kostusev has announced in an interview with newspaper Delo. In his words, if facts and circumstances, provided by Astelit mobile communication operator (the life:) brand) about the VimpelCom-Kyivstar merger, are corroborated the Committee may reverse its decision for the case or change it, setting certain obligations, un.ua says. “These obligations may concern also sale of part of the acquired asset in mobile communication operators, Ukrainian RadioSystems and Golden Telecom,” Kostusev stressed. The Committee Chairman went on saying that an alternative to this may be a demand to give up some of radio-frequency capacities belonging to these two companies. VimpelCom owns 100% of Beeline telecom operator (Ukrainian RadioSystems and Golden Telecom). 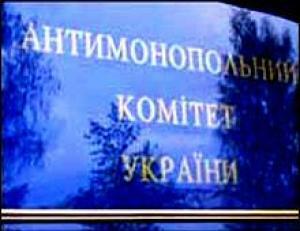 As Ukrainian News earlier reported, the Antimonopoly Committee on April 22 suspended its permission for the merger of VimpelCom mobile communication operator and Kyivstar mobile communication operator upon new facts provided by Astelit mobile communication operator. In March, the authority sanctioned the VimpelCom-Kyivstar merger without reservations.